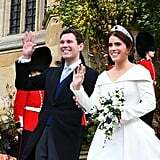 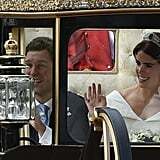 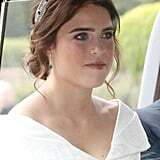 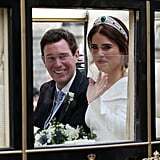 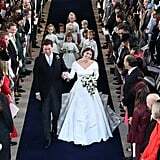 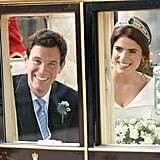 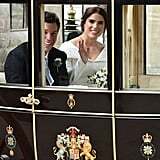 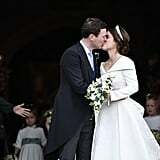 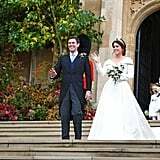 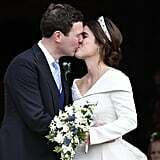 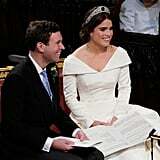 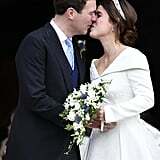 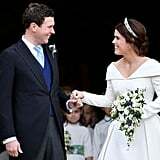 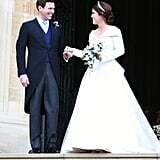 Jack Brooksbank and Princess Eugenie are officially husband and wife! 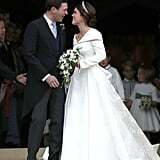 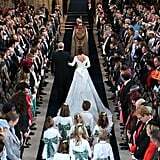 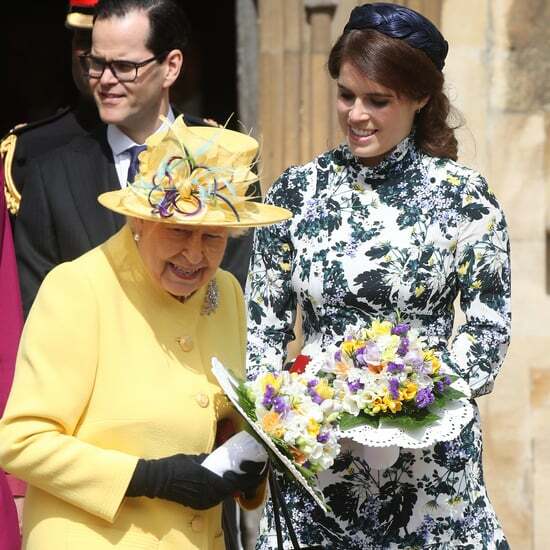 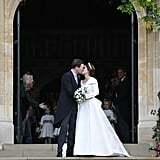 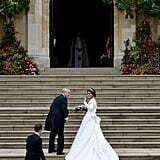 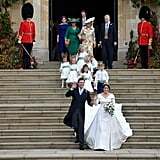 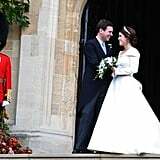 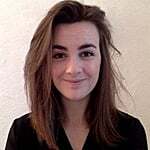 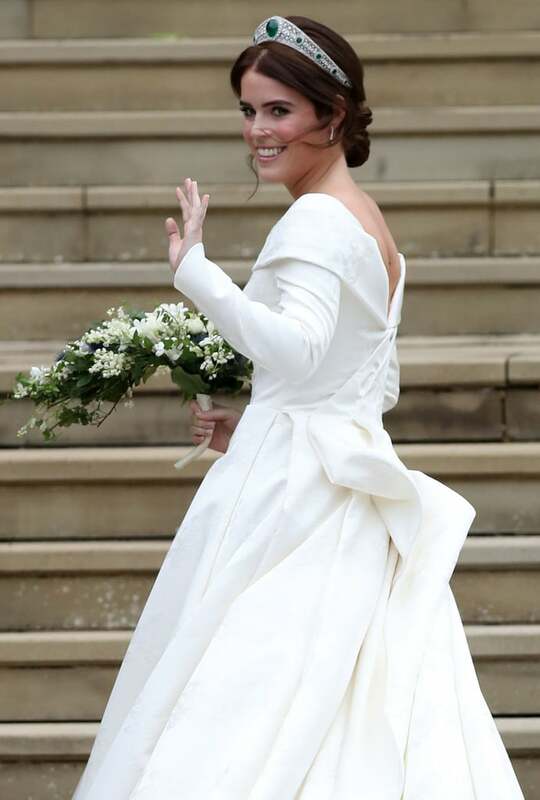 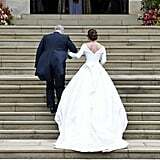 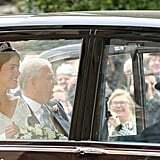 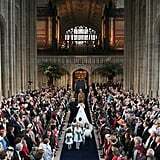 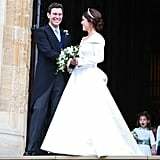 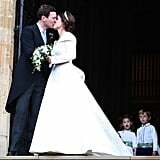 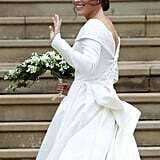 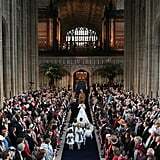 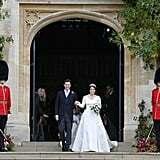 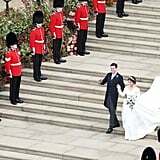 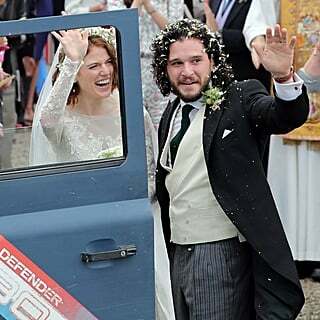 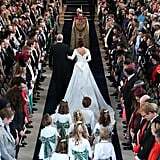 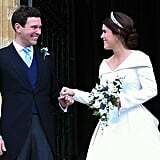 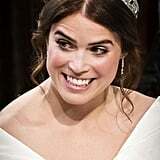 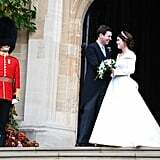 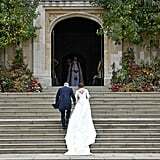 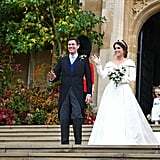 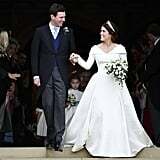 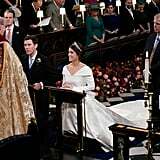 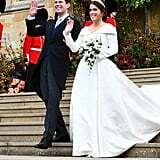 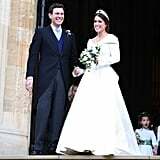 All eyes were on the 28-year-old princess as she tied the knot at St. George's Chapel at Windsor Castle, the same place where Prince Harry and Meghan Markle said "I do" on May 19. 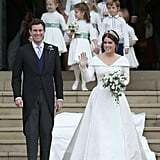 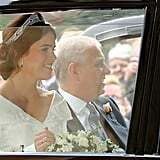 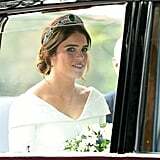 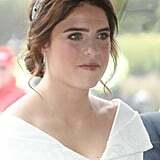 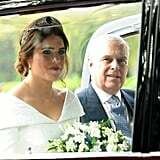 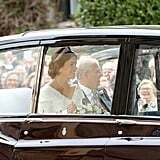 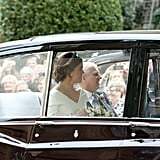 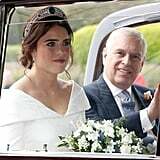 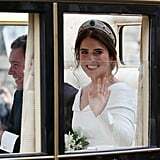 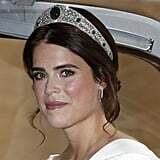 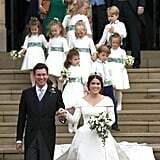 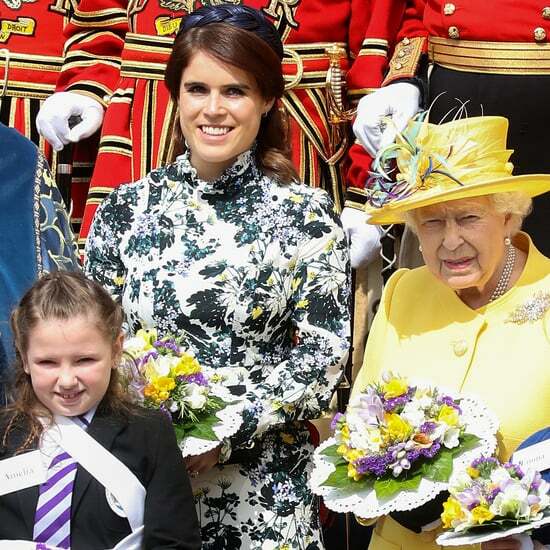 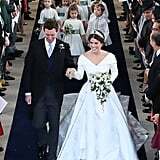 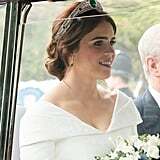 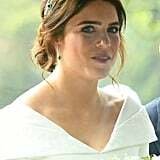 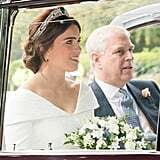 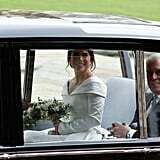 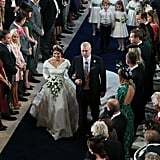 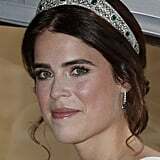 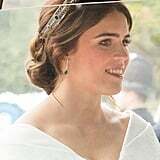 From the moment she stepped out of the car with her father, Prince Andrew, we couldn't help but stare at Eugenie, who wore a regal gown by British designer Peter Pilotto, as well as the Greville Emerald Kokoshnik Tiara. The past few months have likely been a whirlwind for Eugenie and Jack, who announced their engagement in January. 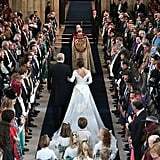 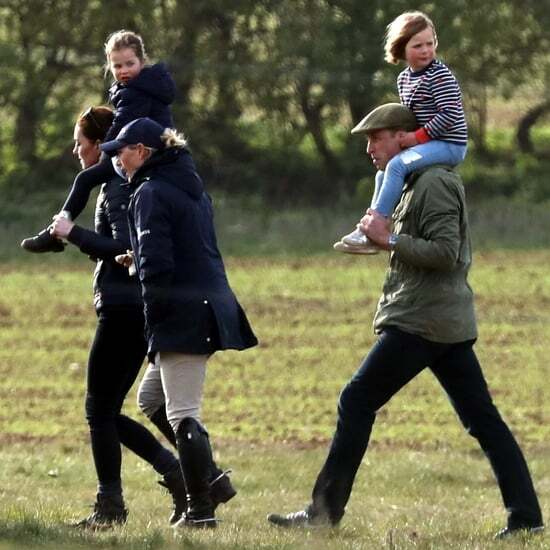 But as the two stood in front of their family and friends (as well as 1,200 members of the public), they only seemed to have eyes for each other. 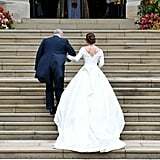 Keep reading to see all her photos!